This week seemed to go by so fast. I was able to most of my goals done for this week. Although a few just were finished this weekend, because I procrastinated on a few. I wish I could have gotten some lettuce and radishes planted in the garden this week. But we had rain, hail, snow and wind. So it wasn’t the most idea gardening conditions. Plus with my allergies bothering me so I just didn’t feel like being outside when it wasn’t raining but was windy. I am hoping to get some more seeds planted in the garden this week and to get our homeschool restarted for our last term of the year. 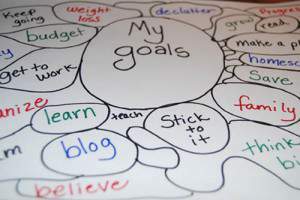 What do your goals look like for this week?